Your wedding photos are a big concern for you, naturally! They are going to last for years reminding you and others of the best day of your life, the fun and frolic you had, the brimming emotions and everything else that is heartwarming! But are you much worried about how the photos will look good? Well, a fantastic suggestion is to capture photos in beautiful landscapes! However, you will have to take due care to look good although your backdrop is going to be awesome. 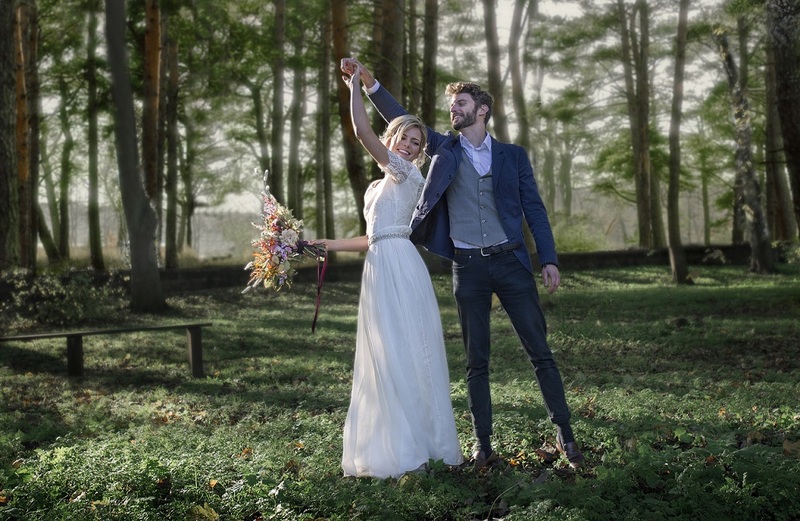 Paulina and Vladimir are professional Manchester Wedding Photographer duo. They cover weddings all over the UK and Europe. They are creative duo, love shooting adventurous couples in beautiful places. They shot multiple weddings all over the UK (London, Leeds, Manchester, Liverpool), and for the next year they have weddings booked in Paris, Germany and Spain. They share valuable tips here for couples about how to look their best in wedding photos at outdoor locations. Have you and your photographer chosen a sandy beach or snow, or a rugged mountain or a lush forest for wedding photos? If you have, do a favour to your feet by wearing comfy shoes rather than your brand new stylish heels and save them from sprained ankles and getting dirty with mud! But brides do want to show off their new shiny shoes on the beautiful natural backdrop! The solution is to bring them with you and once your photographer finds the right spot for shooting, wear them! But even a pair of cute cowboy boots or hiking shoes would rock – consider this! While being at a beach or in the forest, your white dress is certainly going to get dirty. You cannot avoid this while moving across grass or sand. The most you can do is to make sure it’s just the bottom and not the entire dress. If you wear a train, appoint one of your bridesmaids on the job of making sure that it doesn’t twist while walking. Also remember that forests are not friendly to trains! The fabric of your dress may get caught in shrubs and branches. So, better let your photographer find a safe path for you. First off, you should remember that it can rain, even on your big day. But you can avoid panicking by prepping for it. Find umbrellas that should be clear or white because they look awesome in photos. Grey or black may also be fine if your wedding color theme favours. But avoid coloured ones because though they are cute, they cast a shower of colours on your face in the photos. You will have to get bunches of them if you have a big bridal party. Another mess can be caused by the sun. While summer weddings are fun with longer days that end with a colourful sunset, for outdoor wedding photos, the sun becomes incredibly hot after a while. You can prepare for this by instructing your makeup artist to apply a foundation containing SPF (sun protection factor). Apply sunscreen to other uncovered skin (neck, arms, shoulders, back). Beautiful outdoors come with inevitable mosquitoes, particularly if you are tying the knot in summer by a lake or another water body. A bug spray is such a simple solution, yet can be easily forgotten, even left out in the car. Don’t let the tiny critters ruin all the fun – keep them away with the spray. Visit the website of the professional Manchester Wedding Photographer duo, Paulina and Vladimir, and consider hiring them for your wedding photography while enjoying their awesome work, some of which can be seen in this article too.